Deux-Sèvres takes its name from the two rivers, both of the same name, which run through the department. The fertile land is largely given over to agriculture with arable land comprising three quarters of the total area. The most notable exports are the Parthenay cattle, Poitou horses and mules, which are highly sought after. Most towns in the area revolve around their market and have retained a traditional atmosphere. Niort, the departmental capital, is a charming and relaxing town. The centre is partly pedestrianised with a number of stone and half-timbered houses overlooking the streets. Nearby you'll also find the 16th century, triangular Town Hall with its lantern, belfry and machicolations. This ancient setting is juxtaposed with the large number of modern companies that have set up around the town. Niort is described as the most bourgeois town in France, mainly thanks to the town's insurance industry. Parthenay is considered to be the most beautiful part of the Thouet River. In the Middle Ages it was very popular with pilgrims who used to stop off here on their way to Compostella. Nowadays, people are making the journey here every week in order to take part in the cattle market. The local council has put a lot of work in recently to restore the Medieval buildings to their original glory. Some of the best are to be found in the gully of St-Jacques. 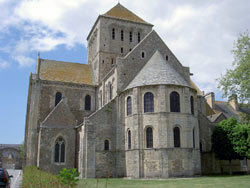 The most impressive building is the Romanesque church of St-Croix, which offers fantastic views out over the ramparts. Food lovers will be drawn to both Niort and Parthenay due to their fine provincial restaurants. Both national and regional specialities are on the menu, with a wide selection of eateries to choose from. The watery marshland of Marais Poitevin has now become a national park. 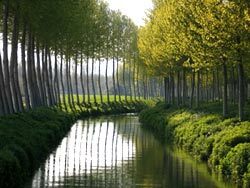 Your best option is to ditch the car and hire a boat to explore this surreal convergence of canals and dykes, surrounded by poplar trees. It was created by the Dutch in the 16th and 17th centuries as an innovative irrigation system. The nearest town is Coulon. There is plenty of choice of flights from the UK into the local area. The nearest airports are La Rochelle, Poitiers, Nantes, Tours and Angers. Meanwhile the excellent TGV service will also take you from the Channel Tunnel terminal to Poitiers via Paris. Although prices have been pushed up recently by increased demand amongst foreign and Parisian buyers, prices in the department still represent excellent value for money. Do you know Deux-Sèvres better than we do? Do you have photos of Deux-Sèvres? Deux-Sèvres is located in the north-west of the Poitou-Charentes region of western France.